The popular social media app was shut down in 2016, but co-founder Dom Hofmann hinted on Twitter that a follow-up app may be launching sometime in the near future. Vine was a social media platform that let users post six-second videos. The app gave birth to so many important moments, memes, inside jokes, and stories that users from all over the world captured. Whether it be scripted comedy skits or candid moments that someone was blessed to capture on camera, Vine gave a 6-second spotlight to the new generation of comedy and they did not disappoint. The image appeared a few days after Hofmann tweeted about his efforts in creating a follow-up app to the currently defunct Vine. He decided to create a follow-up after receiving a significant amount of “tweets, dms, etc” from the Twitter community expressing resentment about the app's shutdown. Well hopefully our dreams have come true. “V2”, as Hofmann called it, is as mysterious as it is exciting. 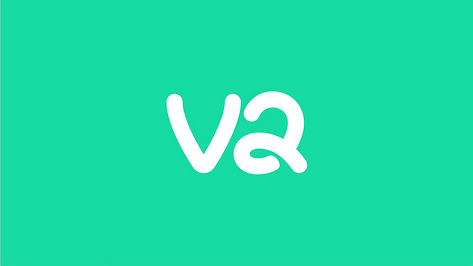 We're still pretty salty about the first shut-down, but who isn't excited about Vine's resurgence Although details are scarce, hopefully V2 is reminiscient of the app we all know and love. Come back for more updates and details, or check out Hofmann's twitter for future V2 announcements.